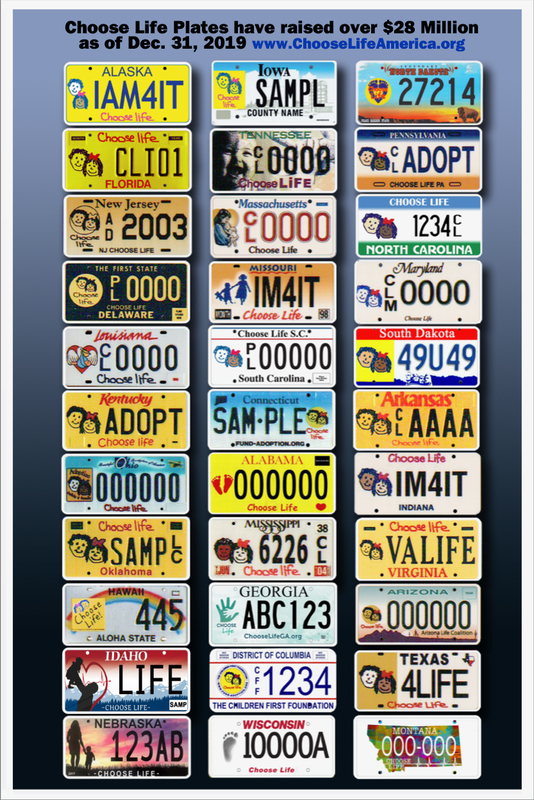 Choose Life America, Inc. is working with groups and individuals in 41 states, helping them with their Choose Life specialty license plate effort. The above picture is what the new Montana Choose Life license plate design will look like. We have made application for a new design for Montana Choose Life plate. We expect the plate to be approved and available later in 2019.